Comments: I bought these as a Christmas gift for my son who wears a size 15! He loves them. 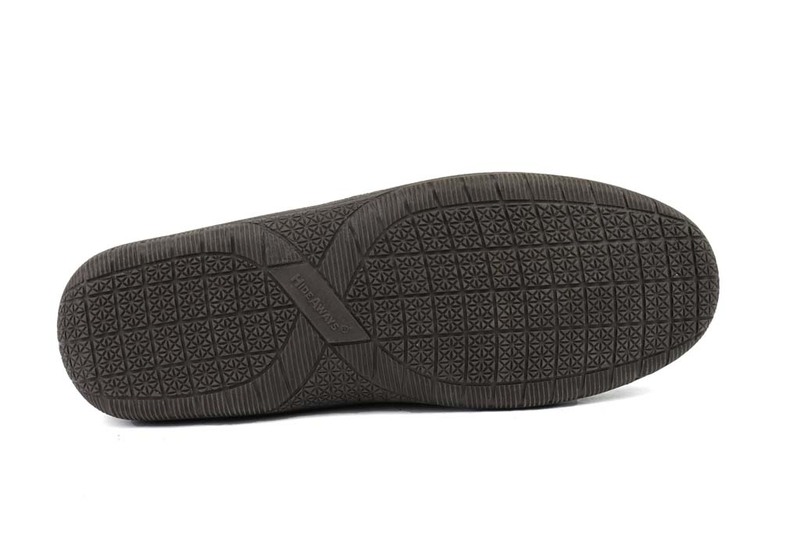 They fit well, are very comfortable and he loves the hard sole so he can wear them outside. Comments: My husband used this slippers for a long, long time. This is a reorder as he loves it. 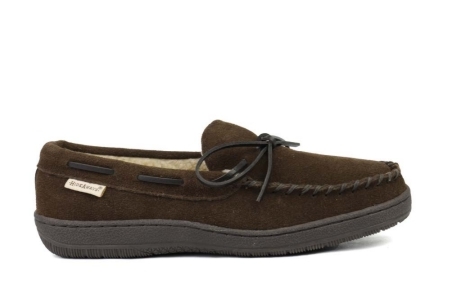 Comments: There are many lower cost moccasins on the market and all fall apart within 18 months. 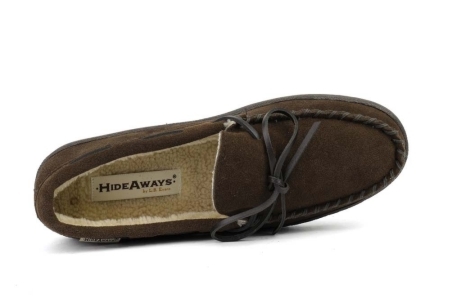 These moccasins last years. Comments: Well fitting, definitely worth the price. Third pair in two years. The first pair still like new. Wear them in place of shoes. More comfortable for every day wear! Comments: THE LACES KEEP COMING UNDUNE, CALLED YOU C.S AND WAS TOLD THAT THE SLIPPER HAD NO PROBLEM. AND I TOLD THEM THEY CAUSE A TRIPPING PROBLEM,ASKED IF THEY CAN TELL ME HOW TO PREVENT THEM COMING UNTIED NO, SHE SAID TO WET THEM AND THEN TIE THEM.COMFORTABLE SLIPPER BUT WOULD NOT BUY THIS TYPE AGAIN.AS I STATED NO HELP FROM YOUR SERVICE PEOPLE.TO BAD SO SAD.WAS THE FEELING I GOT YOUR YOUR C.S DEPARTMENT. SO PURCHASE AT YOUR OWN. Comments: Arrived ahead of schedule. Fit perfect. If you want a great pair slippers stop looking and buy a pair of these. You won't be disappointed! Comments: Good fit. My husband loves these. Comments: My son asked for a new pair of these slippers this year for Christmas. His dog decided he liked one of his slippers and ate the heel. Likes the fact that he can wear the slippers outside as well as inside.